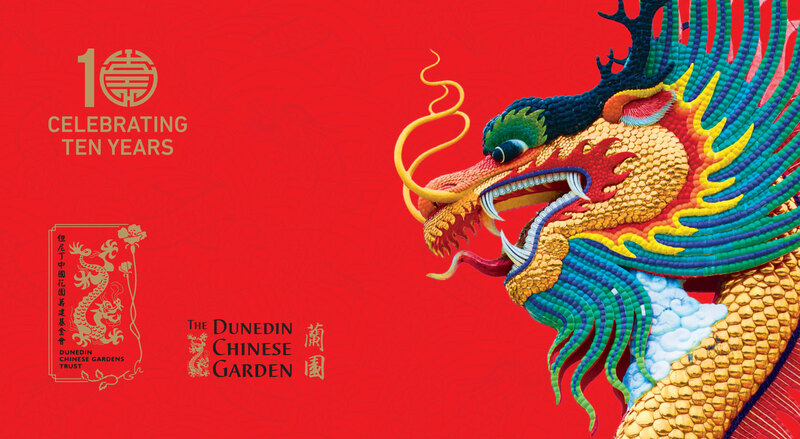 The Dunedin Chinese Garden, in conjunction with the Dunedin Chinese Gardens Trust and the University of Otago Office of the Confucius Institute in Auckland, proudly presents the visiting scholars series in recognition of the Garden’s 10th birthday. Bookings are essential for all events. All events are held in the Tower Room. Normal admission charges apply. Children under 13 FREE (maximum three per adult). For over 1700 years, shufa (calligraphy) has been an elite art that is prized above all other arts in China. Dr Xiongbo Shi introduces the scripts, genres and artistic forms of Chinese shufa concluding with an authentic calligraphic presentation. Richard Bullen discusses how Canterbury Museum came to acquire the largest collection of Chinese material in the southern hemisphere during the Cold War. This is followed by the launch of New China Eyewitness, written by Richard Bullen and James Beattie. This book shares the fascinating account of the 1956 visit to the People’s Republic of China by a group of prominent New Zealanders and documents Canterbury Museum’s unique acquisition. Copies available for purchase and signing by the authors. This photographic display showcases the beauty of one of China’s best gardens. Built in 1559 AD, in the Ming Dynasty, the Yu Garden is the largest ancient architectural complex at the heart of Shanghai’s Old Town. Focusing on Chinese animation as a window to understand both the past and the present of Chinese visual culture, Associate Professor Paola Voci explores ‘electric shadows’ – the Chinese name for cinema 电影 dianying. Archaeological investigations of nineteenth century Chinese goldfield communities in Central Otago. Discuss the experience of 19th century Chinese settlers in the goldfields of Central Otago and the influence of the Lawrence Chinese Camp on Chinese culture and society in Aotearoa. Object.Affection is a creative collaboration between renowned photographic historian King Tong Ho and members of the local Chinese community. It reflects history through the interface between visuals (photographs) and the contextual (English and Chinese bilingual texts). Help us celebrate this special occasion with cultural activities and performances. Reading Chinese in the Garden: the book, the collection, and the library. Duncan Campbell (adjunct Teaching Fellow with Victoria University of Wellington). Unearth more on the Chinese book and its evolution at this illustrated talk by Duncan Campbell, adjunct Teaching Fellow with Victoria University of Wellington. The language of the flowers - the role of plants in traditional Chinese culture. Duncan Campbell will discuss the connection, symbolism and importance behind the garden elements. Boyi Gan – Mona Lisa Art Studio Art Director. Be guided on the use of watercolour pencils with artist Boyi Gan showing step by step how to copy a Chinese painting. Material and brushes will be provided. Penjing (pot scenery in Chinese) is an art form using trees grown in containers with rocks and other materials to create in miniature the representation of a natural landscape. It is a living art form taking inspiration from Chinese landscape painting. Learn the fundamentals from Brian Ellis, penjing expert. Professor Henry Johnson – University of Otago. How did Chinese creative musical practices contribute to the making of Aotearoa New Zealand from the mid-nineteenth century? Professor Henry Johnson explores how practices help contextualise a significant sphere of cultural diversity in colonial and postcolonial context. Dr. Maria Galikowski discusses the historical and cultural significance of Chinese tea, as a local product and global commodity. Composers from NZ, China, USA, UK and India along with the renowned Polaris Quartet of Shanghai collaborated on an album of newly commissioned music in March 2017. Martin Lodge, composer and executive producer, tells the story of the album from conception through to English/Chinese publication. Powdered green tea (matcha), was first imported from China in the late 12th century. This illustrated talk by Associate Professor Richard Bullen will describe the history of the tea ceremony in Japan, and the influence Chinese ideas had on the practice of serving tea and its environment.